The Shabbat Controller Option is compliant with Jewish Law (Halacha) and enables the user to operate the scooter during Shabbat and Jewish Holidays such as Rosh Hashanah, Yom Kippur, Sukkot, Shemini Atzeret, Simchat Torah, Chanukkah, Tu B'Shevat, Purim, Pesach (Passover), Lag B'Omer, Shavu'ot, Tisha B'Av, Asarah B' Tevet and Yom Yerushalayim. This innovative mechanism was designed by the Tzomet Institute, is Halachically authorized and is the only electronically driven mobility product permitted to be driven by the elderly and disabled on Shabbat and Holidays. Weight with Batteries: 326 Lbs. An elegant, high scale, main stream scooter for outdoor and limited indoor use. 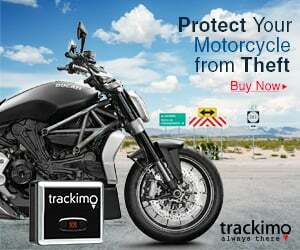 The Breeze implements many new features adopted from the automotive and motorcycle industries. The innovated, futuristic design of the Breeze incorporates numerous advanced capabilities and functions that not only cater to the user's overall comfort and convenience, but has the most advance safety system - that goes far beyond the norm in the class of power operated scooters.